Traditional Usui Shiki Ryoho Animal Reiki classes. 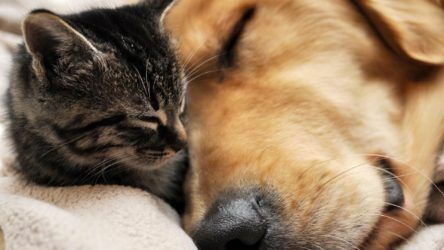 Animal Reiki is for anyone who wants to make a connection with animals. In truth, Reiki is for everyone. 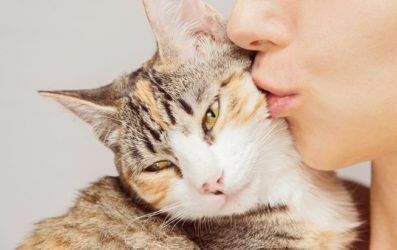 When you take Animal Reiki classes you aren’t just giving a gift to your animal companions – you’re doing it for yourself and the people in your life too. In addition to receiving all of the attunements that are taught in a traditional Reiki class, you will learn how to address the needs and energetic anatomy of companion animals. 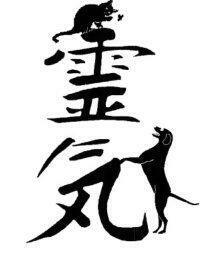 Reiki with Animal Reiki training is easy to learn and enhances your life on many levels. Using Reiki on your animal companions invites well-being and strengthens your bond with one another. You can use Reiki to improve your life and the lives of animals. Reiki Master Teacher Susan J. Squittieri has over 10 years of experience training individuals who wish to use Reiki for personal growth and wellness, to assist family and friends, and to heal the animals they love and care for. Classes are open to Individual Animal Lovers & Animal Care Professionals. 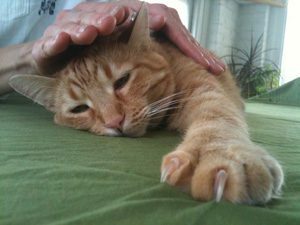 Susan offers classes in Animal Reiki in group and private instruction in Valley Cottage, NY or at your home, barn, stable, or place of business in the Tri-State- Area of New York, New Jersey, and Connecticut. Susan is very passionate about teaching Animal Reiki and creates a supportive and nurturing environment for you to learn in. If you have an animal-based practice, clinic, or veterinarian hospital or are affiliated with an animal shelter or animal rescue group and would like to offer Animal Reiki training to your staff and volunteer members, please contact Susan for more information. Learn to use the healing power of Reiki for yourself, your family, and the animals you love. By learning how to use Reiki for humans and animals, you can support the body’s natural ability to heal itself at the physical, emotional, mental, and spiritual levels. Be sure to read the Class Registration Policy & Details page. Reiki 1 with Animal Reiki Training. This class is for people who want to learn how to deepen their relationships with animals and learn practical ways to heal themselves and the animals in their lives. First Degree Reiki (Shoden, or First Teaching) – In this first Reiki experience you are attuned to the Reiki energy in order to perform physical healing. This Reiki Attunement connects you to the universal source of healing energy and opens you to facilitate that energy. You can use this to help heal yourself as well as people and animals who are physically present. Level I is “hands-on Reiki on,” and focuses primarily on the physical body. This class places emphasis on both people and animals and will focus on self-treatment, treatment of other people, and basic treatment of animals. Students will receive a course manual and certificate upon completion. Prerequisite: an open mind, willingness to learn, and the desire to grow and deepen your relationship with animals. Length of class 6-8 hours over 1 day. Reiki 2 with Animal Reiki Training. This class is for people who have completed Level I Reiki with Animal Reiki training and are ready to continue moving forward on their personal healing journey with Reiki and animals. Second Degree Reiki (Okuden, or Inner Teaching) – Absent or distance healings are the key teaching in the Okuden class. The second Reiki Attunement deepens your connection to the universal source of all life energy and strengthens your ability to channel that energy. You’ll learn the Reiki Symbols that allow healing to be directed to emotional and mental aspects of a person and animal, and across time and space. You can use this to do healing work no matter where the recipient is physically located in the world. You will also learn application of the distance symbol so you can do distant treatments. Prerequisite: Reiki Level I with Animal Reiki Training and a minimum of 3 months between Reiki Levels I & II with Animal reiki Training. Length of class is 5-8 hours over 1 day. Reiki 3 with Animal Reiki Master Practitioner Training is for people who have completed Level I and Level II Reiki with Animal Reiki training and who wish to continue their personal healing journey with Reiki and animals. Although called Reiki Master, this means you are in the process of “mastering yourself.” This course brings you to the beginning of that process that enables you to further develop a strong self-practice and deepen your relationship with Reiki. Third Degree Reiki (Shinpiden, or Mystery Teaching) – At this level you are attuned to the symbol and energy for spiritual healing. With Level III Reiki with Animal Reiki training you achieve full empowerment. You will receive a final attunement and learn to work with the fourth symbol, the Master Symbol. Prerequisite: Reiki Level II with Animal Reiki Training and a minimum of 6-9 months between Reiki Levels I & II with Animal Reiki Training. Length of class is 6-8 hours over 1 day. Third Degree Master Teacher Level. This class is for Level II and Level III Reiki practitioners with Animal Reiki emphasis interested in learning to teach both Reiki and Animal Reiki classes.You will learn the final symbol that empowers you to pass on the Reiki Attunements to others. Level III Master Teacher is for people who want to teach, attune, and empower others. Prerequisite: Reiki Level III Master Level with Animal Reiki Training and a deep desire to teach. Length of class is 5-8 hours over 1 day. Register by call Susan directly at 845.512.8389 or get information about when class is being offered and register on-line so you can reserve your space. Click here for the Class Schedule and Registration information. I was Susan’s student for her Animal Reiki for Reiki Practitioners and Master Certification courses with an emphasis in Animal Reiki training. Susan is a very thorough teacher who is very knowledgeable and experienced in her subject matter. She brought much compassion and caring to each student as she made sure that each of us learned each aspect of her curriculum before moving on to the next one. Susan is an effective, charismatic, dynamic teacher who can make Animal Reiki easy to understand! Her humor and good nature are contagious and make her classes fun. She is able to create a nurturing, energized environment which aids each student in connecting with each other. I highly recommend her classes! Eileen D.
I took Reiki I, II and III with Animal Reiki Training from Susan. I could have switched it up and taken a level with a different reiki master at any point, but I can’t imagine a kinder, more generous, knowledgeable teacher than Susan exists on the planet. She truly is amazing. Jenny S.
Want more out of your relationship with yourself, animals, and the world around you? Sign up and receive updates on classes, events, specials, + my FREE communicate with animal’s starter kit.